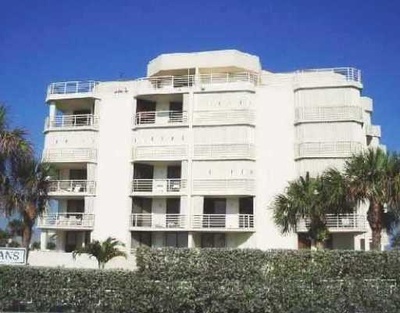 The Corinthians Jupiter is an expansive, six-story, oceanfront condominium built in 1985. The units are staggered out in a V shape so each condo has an ocean view. The direct oceanfront units are 3 bedroom 1,800 sq. ft, with units in the 05 and 06 stacks. The West facing condos are also 3 bedroom units. 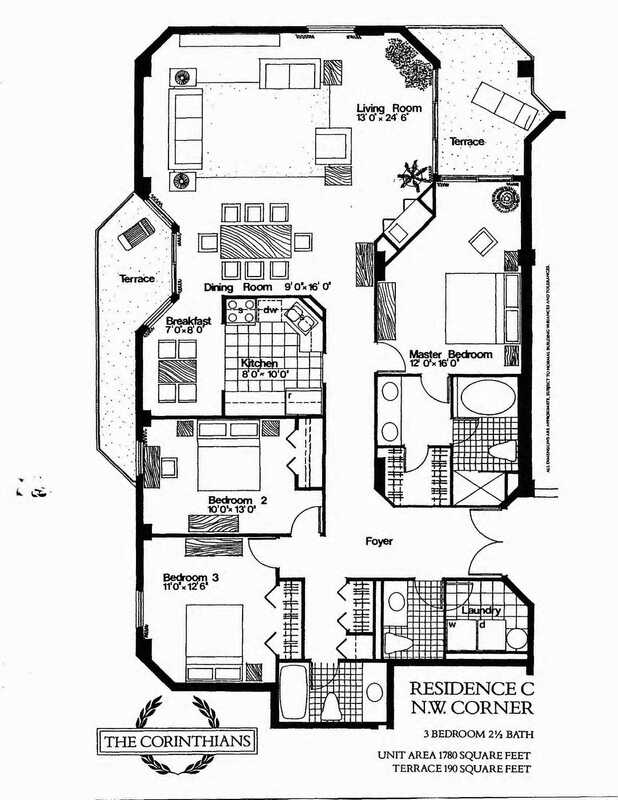 The 2 bedroom units are 1,440 sq. ft. 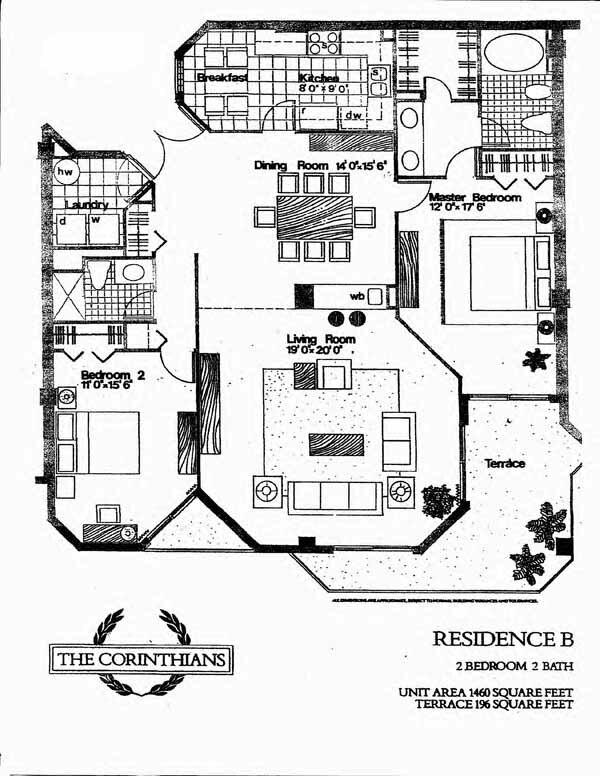 The Corinthians has an inviting open atrium as you enter the front door. Sitting behind the Corinthians is Olympus a Jupiter beachside community of single family homes. The South facing condos are the preferred units as they overlook single family homes and the higher floors look way down towards Juno Beach. View current listings for Corinthians condos or read more about the features you'll find in this popular Jupiter oceanfront community. Corinthians is not gated, and trucks or motorcycles are not allowed. Condo fees are based on size of the units. The ground floor condos have extra large outdoor terraces while the other units share a terrace with living room and master bedrooms. You need to be third floor or higher for a good ocean view. The two direct ocean Penthouses have over 1,000 sq. ft terraces outside their living areas. The dog friendly beach is at your front door. As one of Jupiter's pet friendly condos you can walk just across the street and enjoy a morning walk on the beach with Fido. Don't miss an enjoyable bike ride along the beach rd each morning either. The bike path runs 10 miles round trip down into Juno Beach and around Pelican Lake. See some of the Juno Beach condos on your ride as well as the Juno Pier is always a great place to stop and rest. If you rather just take a pleasant stroll the beach sidewalk is a great place to enjoy the ocean breezes and meet new friends. See some more pet friendly Singer Island condos as well. If you have questions, or would like to view a Corinthians condo, please don't hesitate to email or call Jim at 1-561-744-7025 for assistance.